It’s rare for your team to escape the 9-to-5 routine for a focused and productive off-site meeting. So make sure you take advantage of this opportunity to build teamwork and trust, staff appreciation and loyalty. After the workshops, presentations and break-out sessions, it’s time for something completely different. It could be learning a new skill, from juggling to cake decorating. Or getting out for a wine tasting or elegant dinner. You can enjoy a casino night or watch future NBA stars compete. Or test your skills at laser tag, bowling, go-kart racing or golf. A memorable meeting requires creative thinking about special activities for your team. 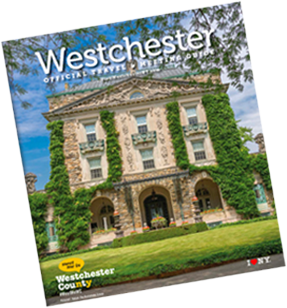 That’s where the Westchester Tourism & Film team can help. We’ll listen to your needs and then provide options that fit your schedule, priorities and budget. Your group can aim for the heights on a 40-foot climbing wall with scores of possible routes for all skill levels, from easy to extreme. There’s even a fully enclosed mini-wall and observation deck, plus flexible function rooms. It’s the perfect way to add energy and excitement to your next meeting experience. Imagine your team in a heart-thumping race around two, indoor, quarter-mile go-kart tracks. Then share palate pleasers and a drink at the appropriately dubbed FUEL restaurant overlooking the action. Now that’s an after-meeting event to remember. Here’s the ultimate in convenience — finish the meeting (Doral has 68,000 square feet of versatile space), hit your room to change clothes, and then head right to the golf course, tennis court or pool for a group event. This top-of-the-line facility has the complete package. Is your team paddling in the same direction? Learn the basics of kayaking or canoeing or schedule a guided excursion with the experts from the only on-water, full-service canoe and kayak center on the Hudson River. Open April through November. This spot combines great food and great fun — 5,300 slot machines, electronic craps, blackjack and Baccarat, plus year-round live harness racing. Add in Dan Rooney’s Sports Pub (order a whole roast pig for your group! ), Nonno’s Trattoria, for big-portion, traditional Italian fare, or the Tequila Bar, featuring 90 (yes, count ’em) rare tequilas and mezcals. Why can’t team-building make you feel like a kid again? Pick your activity at this indoor amusement park — miniature golf, “lazer” tag, billiards or glow-in-the-dark bowling, with plenty of on-site meeting space, catering options and a full-service bar. Sample some award-winning, homemade beers developed by Scott Vaccaro, one of the most-acclaimed brewers in the region. After taking a guided tour that provides first-hand knowledge of the brew-making process, sample delectable morsels from a small-bites menu.